Skyacht One is now renowned as the most luxurious “flying yacht” in the world. At first, it was just a challenge to the designer Eddie Sotto: he had to create something unique. 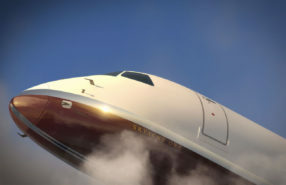 That is how Skyacht One was born, transposing the elegance and refinement of a yacht into a plane. 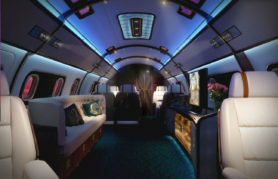 To give birth to this unique interior, the Skyacht One was built in partnership with Embraer, the Brazilian aircraft manufacturer. 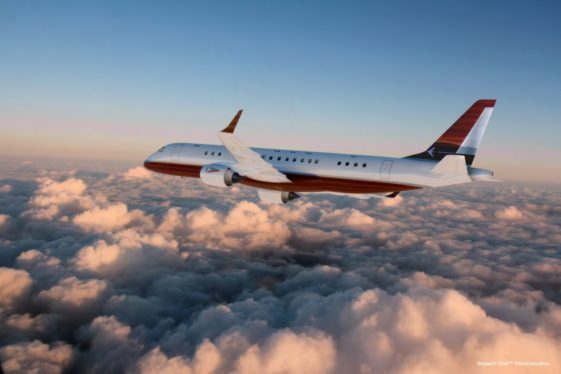 This one has offered to Sotto an remarkable plane for his project: the Lineage 1000 E.
This aircraft and its 116m2 can reach 800km/h as a cruising speed and also has 8519 km autonomy. 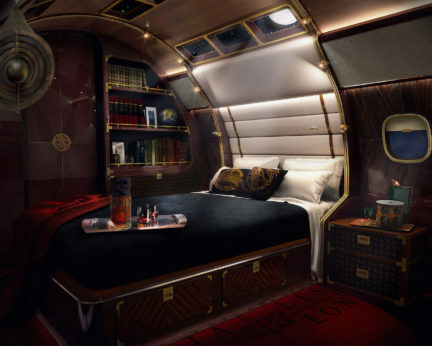 These great achievements will allow Sotto to rein his imagination concerning the Skyacht One’s interior design. 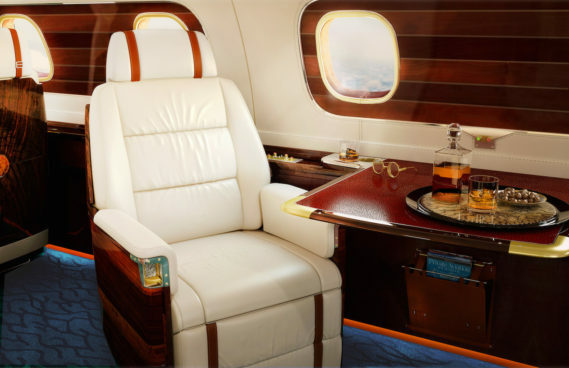 Upon request, the luxurious and refined Skyacht One design can be adapted to any other aircrafts, smaller or bigger. Now let’s focus on this unique and unseen design. The Skyacht One can offer a great number of luxurious amenities thanks to its huge area such as: conference room, main cabin with a grand sofa, cocktail bar, dining room and master suite with 4K screen and adjoining bathroom. 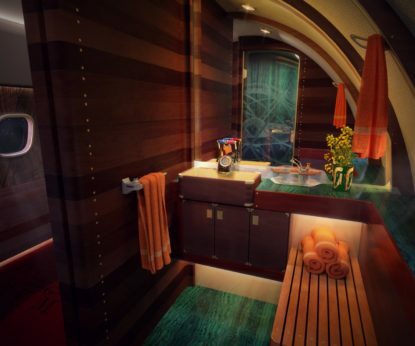 The finishes are carefully designed and first-choice materials were selected: teak, woodwork and hand painted “trompe l’oeil” mahogany “hull”, gold and platinum. 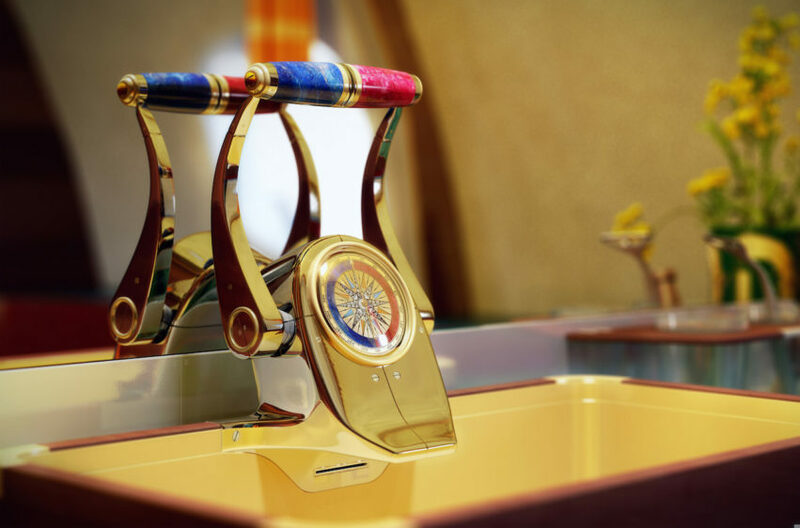 The interior is made with high quality leather, inside marquetry is inspired by Italian 15th century expertise and brass ceiling-lights have been inserted. Many mythical objects from the navigation world have been integrated to Skyacht One as armillary spheres, Arabs Sextant, or a planetary clock from Ducal Palace’s Studiolo, Fornasetti rug…and the result is stunning! A smart lightening system changes the lights colours according to your desires and to the different moments of the day. 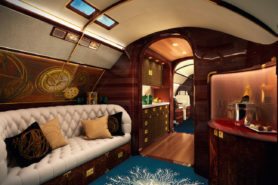 This flying vessel is a true treasure specially built by a refinement lover for private, comfortable and grandiose flight lovers. 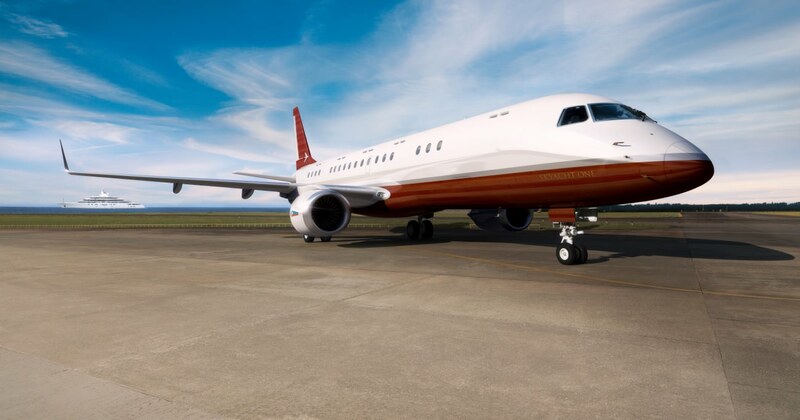 If your want to travel in the most luxurious aircraft in the world, you can buy the Skyacht One for the amount of $83 millions. 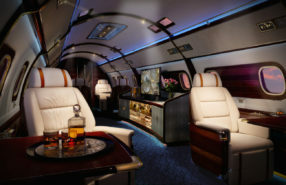 Share the post "Skyacht One: Fly aboard the most luxurious flying yacht in the world"